There is nothing more annoying for a user than waiting for your pages to load. A site that takes more than 4 seconds to load certainly risks losing 97% of its visitors. The accessibility of a site is a major criteria, as well as the ergonomics of navigation and its design. A slow site loses traffic; without traffic, no visitors; and no visitors, it is impossible to generate leads. To reduce the loading time of your site to the maximum, lighten your pages; focus on quality and quantity on the content side. Remember only the essentials, because this is what your prospects want: “your expertise in your field to enlighten them in their efforts”. The pace of the current daily routine for most people, whether in someones personal or professional life, encourages the person to move constantly. Mobility remains as the only and best alternative to communicate with those around you wherever you are. The point I would like to make is that you should also include this parameter in your webmarketing strategy to generate leads. Having a responsive site and at the same time optimized on mobile becomes two essential conditions to avoid a high bounce rate and gain potentially convertible organic traffic. A poorly structured site has no interest. Whenever a potential customer visits your website, you must accompany him. You will have to trace the path of your prospects so that they no longer have to think, but just to appropriate the type of content that interests them. Work your blog by carefully sorting your articles according to different themes; update it regularly. Place your CTAs (Calls-To-Actions) in the strategic locations of your pages and direct your visitors to the right landing pages to convert them. In all your content marketing efforts, opt for clear, simple and relevant messages. To generate leads with inbound marketing, position yourself as an expert by bringing your prospects real added value to all of your offers. 4. 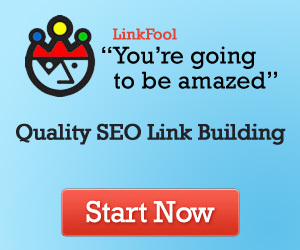 YOUR TRAFFIC REPRESENTS A HUGE POTENTIAL: KNOW HOW TO EXPLOIT IT! Organize webinars (this is an informative seminar that takes place directly online for the presentation of products or problems of customers).